Supergirl (Melissa Benoist) learns the true depth of Serena’s (guest star Anjali Jay) nefarious plans for Earth. 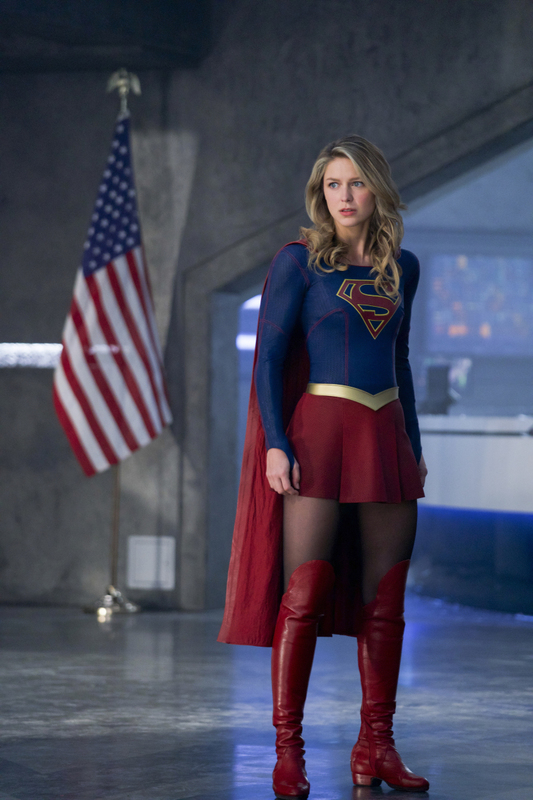 Supergirl, Mon-El (Chris Wood) and Alura (guest star Erica Durance) must devise a plan to stop her before Serena gets to Earth. J’onn (David Harewood) prepares to say goodbye to his father (guest star Carl Lumby). Armen V. Kevorkian directed the episode written by Ray Utarnachitt & Cindy Lichtman. Air Date: Monday, June 11 (8:00-9:00 p.m. ET) on the CW. Supergirl -- "Make it Reign" -- Image Number: SPG322a_0061.jpg -- Pictured: Melissa Benoist as Kara/Supergirl -- Photo: Shane Harvey/The CW -- ÃÂ© 2018 The CW Network, LLC. All rights reserved.